Arsenal have finished outside the top four for two straight years, the first time under Arsene Wenger's management, which did not sit well with the board. Arsene Wenger has revealed that is displeased at the way Arsenal fans acted which forced him to end his reign 12 months earlier than his contract, which was due to expire in 2019. The manager oversaw his last game in charge against Huddersfield in a 1-0 win, their first three points away from home in 2018. Arsenal finished the season in the sixth spot, their lowest finish under Wenger, and the general apathy from fans saw a host of empty seats across the stadium, which forced owner Stan Kroenke's hand. The cry to get the Frenchman out had been ongoing since 2016/17 when Wenger's contract was up. However, much to the displeasure of fans, he went on to sign a new contract in one last attempt to turn the tide at the Emirates. Arsenal have finished outside the top four for two straight years, the first time under Wenger's management, which did not sit well with the board. However, despite the results of last season, Wenger feels that the protests to evict him could have been done in a better way and he is disappointed in the fans for acting in the way they have. "There are so many ways nowadays to express your feelings and emotions but to go to extreme situations is not the right way," he told beIN Sports, as quoted by the Evening Standard. "You can criticise everybody and I accepted that through my whole career. "It's just there are some things you cannot do in life. It's a little bit an expression of people who have money and do what they want in life without respecting basic things." Wenger was deeply affected by how things turned out in the end and cut a figure who would rather have seen out his contract and leave after the end of next season. The manager did not go out with a trophy either, having lost to Atletico Madrid over two legs in the semi-final of the Europa League, their only route back into the Champions League. "It is a sad moment because as you know, it was a full dedication we have to accept that we are not eternal," Wenger added. "We have to face reality and to face reality is that everything comes to an end and the best way to deal with it is to accept it and look at it in an objective way. 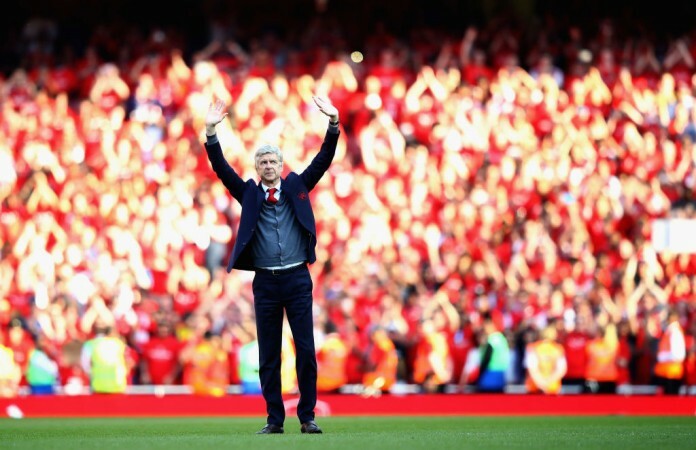 "I have had the privilege to make 22 years at the football club. That is not common. That is exceptional. When you look at the history of the whole football world to have the privilege to be 22 years head of a football club of that stature."